Your hair was this colour, now it’s stretchy and ruined? I have the answer. You’ve washed the bleach off, you’ve conditioned, you’ve looked in the mirror. 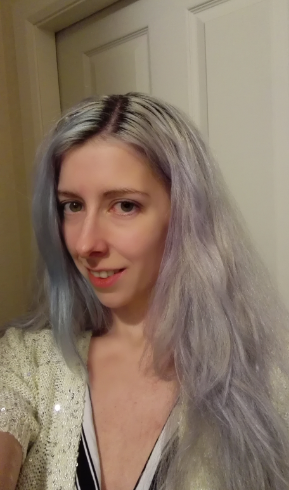 It might not even be a particularly light shade of blonde. Somehow, your hair has become super-stretchy and doesn’t flex back into shape again very well when you run your fingers through it. 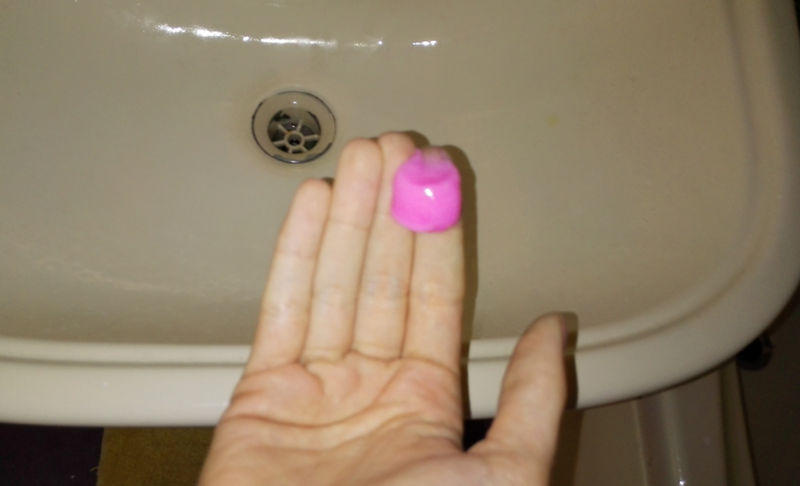 This is NOT going to help if your hair is coming out in clumps. The only thing that’ll help there is a pair of scissors. Sorry, but you need to be honest with yourself about the current state of your hair before you do this. If your hair is worrying you with its poor condition, but isn’t actually breaking apart yet, this tutorial is for you. Firstly, I’ve got some bad news for you: You are probably not going to be able to stay completely blonde. 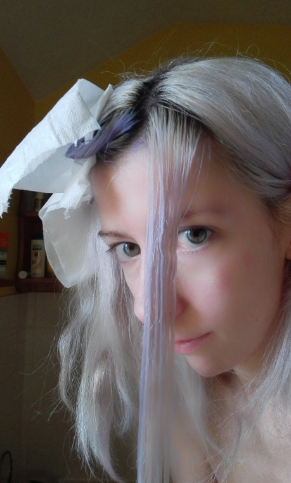 At this stage, you have almost completely bleached the core out of your hair. It’s unstable, and isn’t going to withstand staying in this state for long. Think long and hard (but not for too long) about whether you need to follow this tutorial or whether a deep conditioning treatment will help. 1. When you last washed your hair, how many hours did it take to dry? 2. When your hair is wet, does it stretch then stay stretched after you let go of it, only returning to its shape gradually, if at all? 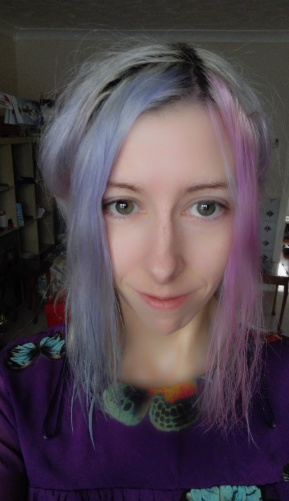 a) Left the dye on for far too long? b) Used a 40 vol peroxide with a bleach on light blonde hair? 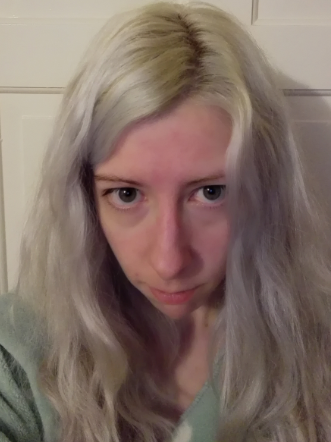 c) Didn’t wash the bleach out properly before drying or straightening (flatironing)? d) Bleached it too many times in a relatively short time period (more than 3 over 2 weeks, depending which products you used)? e) Bleached it too many times over a longer time period (three times or more per month for more than three months)? f) Used a product not intended for hair e.g. 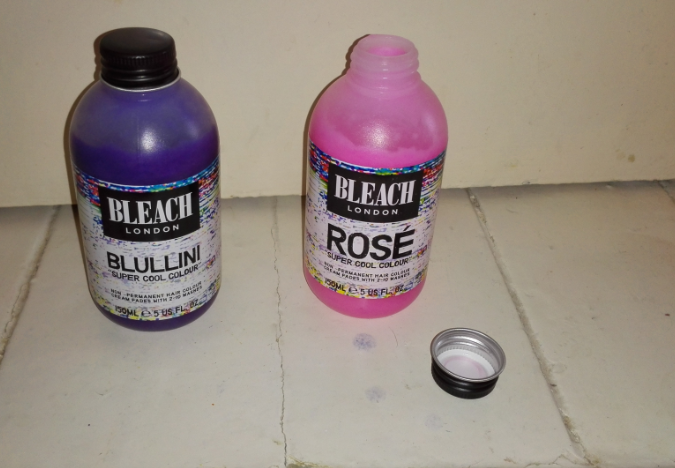 bleached with kitchen bleach, toilet bleach, household bleach etc even just once? g) Used blonding/lightening spray on light blonde bleached hair? If you answered yes to any of the statements in question 3, and your hair is taking more than 3 hours to dry after washing, and it’s stretching as described in question 2, you need this tutorial. 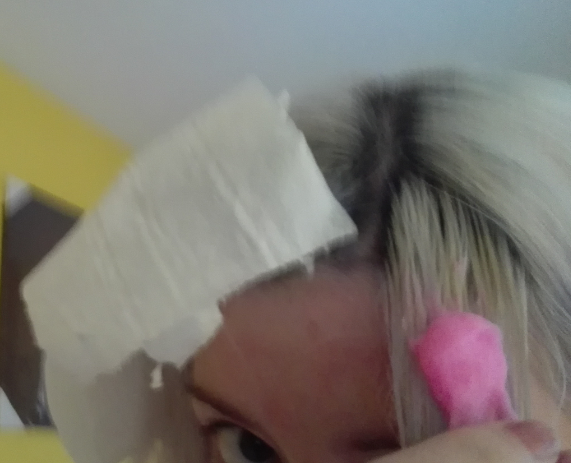 Disclaimer: I am not at your house assessing the state of your hair, nor do I know the state of your scalp. This is your judgement call, but if your hair is wrecked anyway, and your only other option is to cut it off, this might be a helpful last resort. Obviously, like with any dying process, this could make your hair worse, and you may have to do this several times over a period of months to get a colour to stick. 1. Get your hair dry, carefully. If your hair isn’t dry right now, get your hairdryer and blow dry it on a low setting. Once your hair is dry it’s in a more stable condition. For now. 2. Put longer hair in a gentle plait, until you’re ready to work with it. This method is used to protect hair extensions at night time, and is equally useful for your own hair when it’s damaged like this. It will help avoid that pesky tangling that constantly happens to over-bleached hair. 3. Decide how dark you can stand to go. Look through the shades of hair dye that are available (don’t buy any yet), and decide on a level of darkness. The darker you go, the stronger your hair will be, but it will take longer to get it there. 4. Buy the reddest permanent dye you can find, that is not darker than the shade of brown you picked in step 3. If you are choosing between two shades of red, ignore the box and choose the darkest. This is because most of this red will wash out in a couple of weeks, tops. Don’t choose anything weird or unusual, this is not a good time to experiment. I used the auburn shades of Nice ‘N’ Easy when I did this. Don’t expect the colour to come out as strong as it does on the box, you will probably have to repeat this a few times. 5. Make sure you’ve waited at least a week since you last bleached/toned/coloured your blonde hair, and follow the instructions to apply your darker shade. While you’re waiting to colour, treat your damaged hair like antique silk. 6. When you rinse, expect most of it to go down the drain. Your hair will come out a mousey colour, probably with patches that are redder than other bits. If this bothers you, now would be a good time to bring back the bandanna or crack out a hat or headscarf. 7. Use that conditioner that came with the dye. Leave it on for twice as long as it says, and at least 10 minutes. 8. Dry very carefully, don’t rub when you towel dry and don’t use the full heat from the hairdryer. 9. 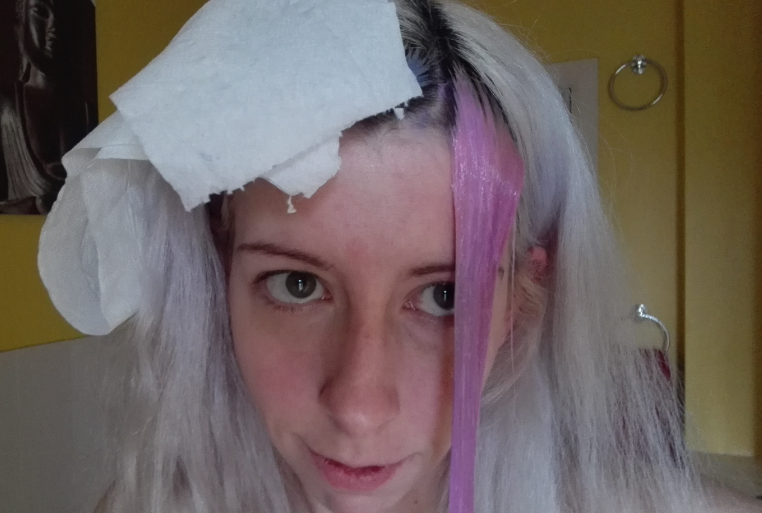 Repeat this process every 2-3 weeks (don’t do it any more regularly than this) until the colour sticks inside your hair. 10. Congratulations, you have just artificially re-created the core of your hair, using artificial pigment molecules. Your hair will be stronger now, although it won’t be the way it was before you dyed it. I found when I did this several years ago, that when I tried to bleach it a year later, it was still not in a suitable condition (luckily I did a test strand because I was NOT ready for that jelly that my strand test turned into), however, it did buy enough time for roots to grow through so I could at least sport a lovely bob 18 months after I wrecked my hair, without having to cut it all off before that time. Try to take better care of it, it’s still very fragile underneath. 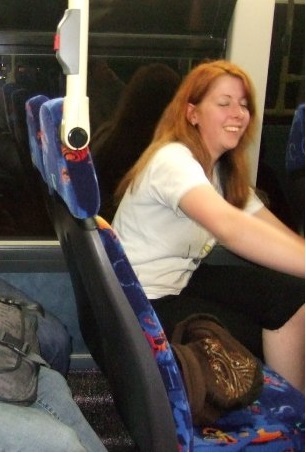 When I wrecked my hair, it took about 6 months to get it to hold this colour. 1. 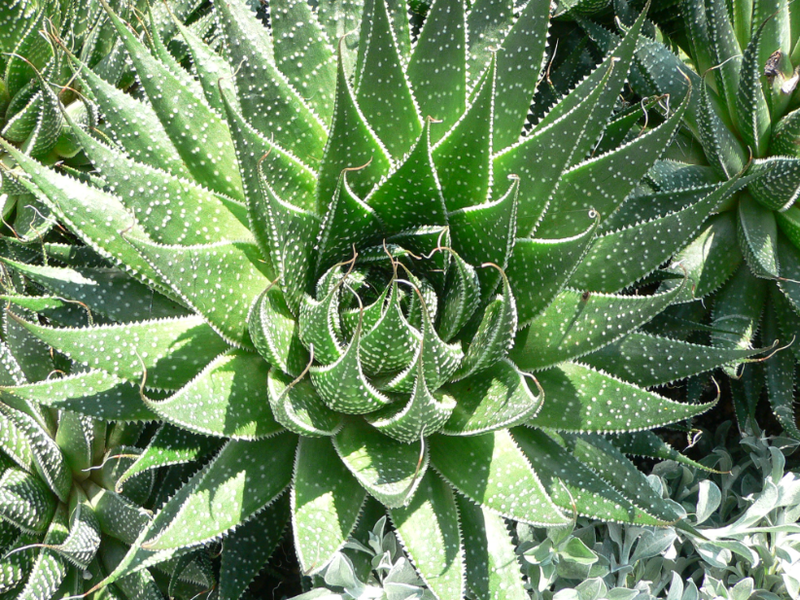 Aloe Vera Gel – Put it on burns, sunburn, dry skin, greasy skin, dehydrated skin, untoned skin – aloe vera’s soothing and skin-enhancing properties are near-legendary, don’t underestimate this gentle giant. 2. 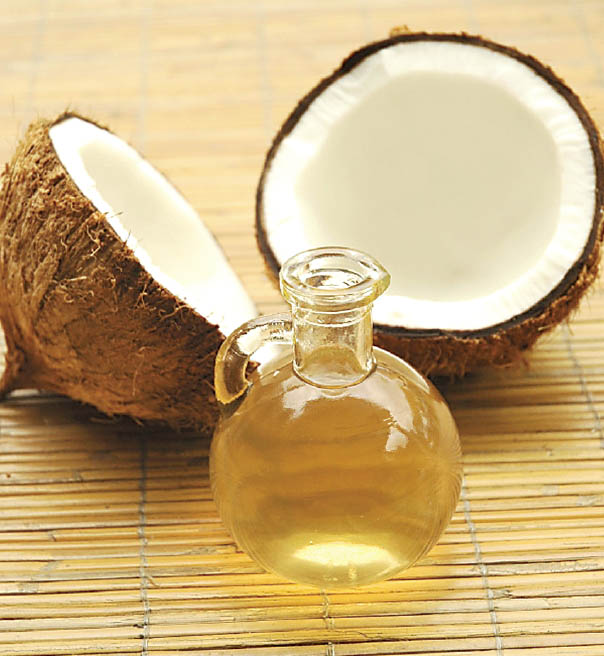 Coconut oil – Melt a little between your hands then rub your hands through the lengths and ends of your hair (stay away from roots). Use all-over before blonding to protect hair from the damaging effects of bleach. Use on your face as a moisturiser and on a cotton wool pad as a make-up remover. To get the oil out of the jar more quickly, turn your hairdryer on and aim it inside the jar (but don’t put the nozzle inside the jar – the glass might shatter or the hairdryer could overheat due to lack of ventilation). Put some on before sunbathing to ensure you tan more quickly (but obviously use a sunscreen as well – despite what many people say, there are NO sunscreen properties in coconut oil, otherwise it wouldn’t have taken us until the 1950s to invent a sunscreen that goes on colourless). 3. 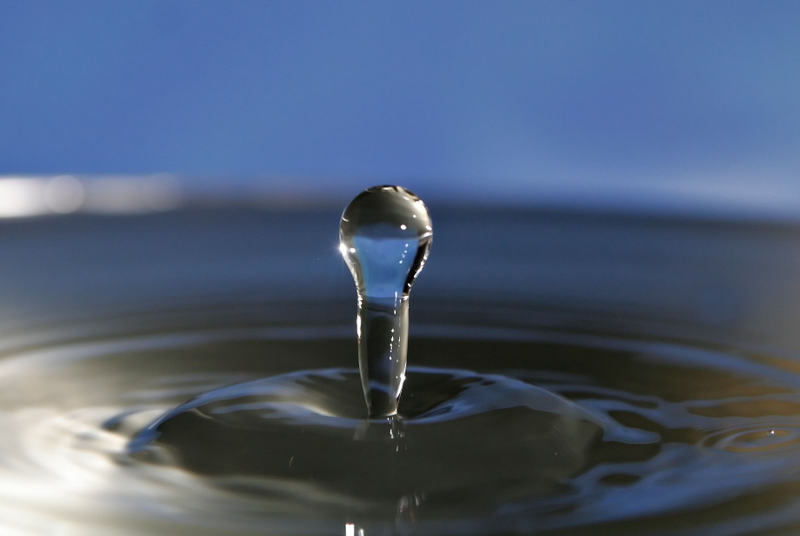 Water – Drinking enough water keeps your skin plump, healthy and looking hydrated (and therefore younger). Using frozen water (ice cubes) on sunburn will help calm the sunburn before it sets in too deeply. Lastly, washing face and hair in pure water will make you look and feel fresher. 4. 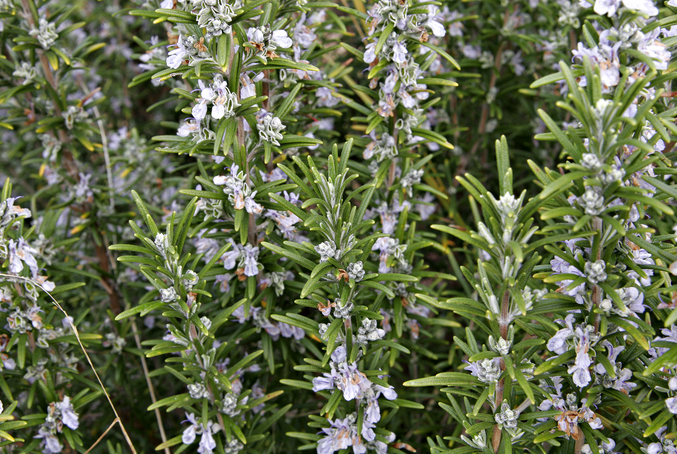 Rosemary – an excellent astringent to get your skin clean and oil-free, rosemary also works to wash your hair and give it a natural healthy shine – although it will make blonder hair turn brown, and dulls your highlights, due to its strong antioxidant properties, so this one’s only for the brunettes. 5. 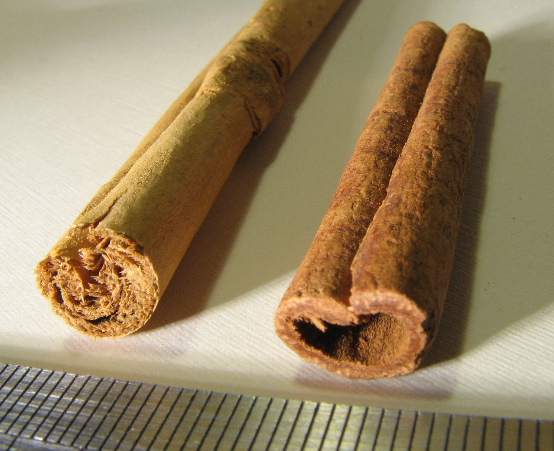 Cinnamon – The main active ingredient in Lip Venom, the original lip plumper, cinnamon can cause your lips to tingle and swell. Of course, the effects are fairly short-lived and depend on how you react to the cinnamon. 6. 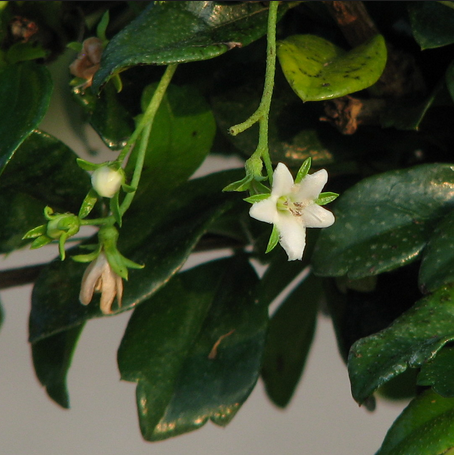 Tea tree oil – Got some spots you’d like to get rid of? Worried about how to avoid getting nits whilst volunteering in an orphanage? Want to keep the mosquitos away? Tea tree oil works a treat. 7. Bicarbonate of soda – cleans teeth, gets the stains right out. Also gets the foundation-stains out of clothing. Just in case you accidentally caught your face on your favourite top. 8. 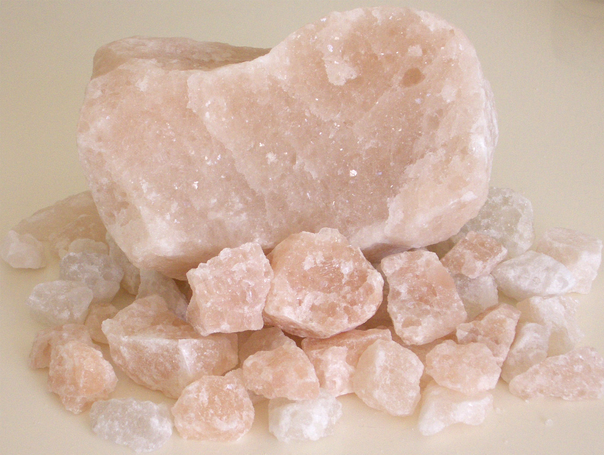 Salt – Natural rock salt is a good all-rounder – it can be used with a teeny bit of water to act as a scrub for elbows, knees, feet etc. It also has the property of making an oil layer where it’s been used, which helps keep moisture in and solve longer-term problems. Lastly (don’t over do this one) you can use it to whiten your teeth, although be careful with that, it’s highly abrasive. It will help remove highly resistant dirt and sterilise gums, but it can also cause its own problems too, like wearing away tooth enamel. rock salt, courtesy of wikipedia. 9. Parsley – You know those times when you’re out and everyone’s standing five feet away from you, holding their noses? When, every time you try to talk, everyone turns away? If you have halitosis-related networking issues, get some parsley, put it in your mouth and chew it. It freshens breath. It’s also packed full of healthy minerals, so swallow it once your done. 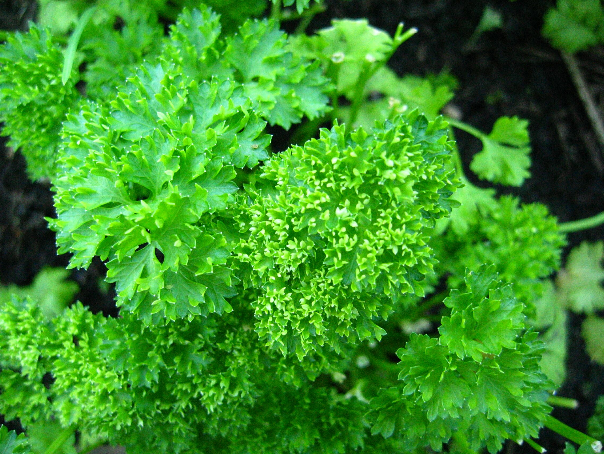 parsley, courtesy of wikimedia commons. 10. 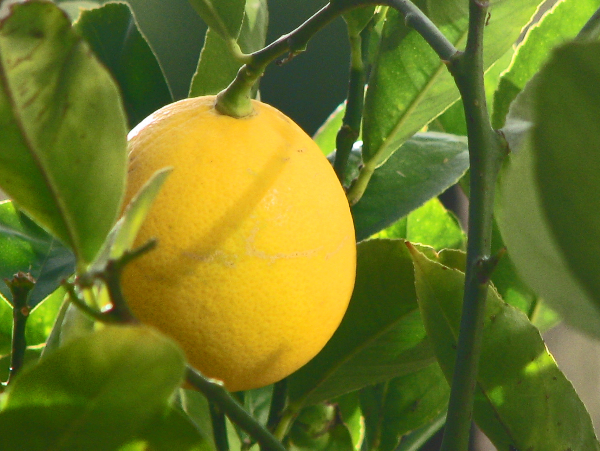 Lemon – Lemon’s a useful fruit in the beauty war – it fades sunspots (apply lemon juice directly to sunspots, using a q-tip), lemon can add golden highlights to blonde and light brown hair too – just put some on your hair, then go out in the sun, where the lemon juice reacts to the sun causing a blonding effect. 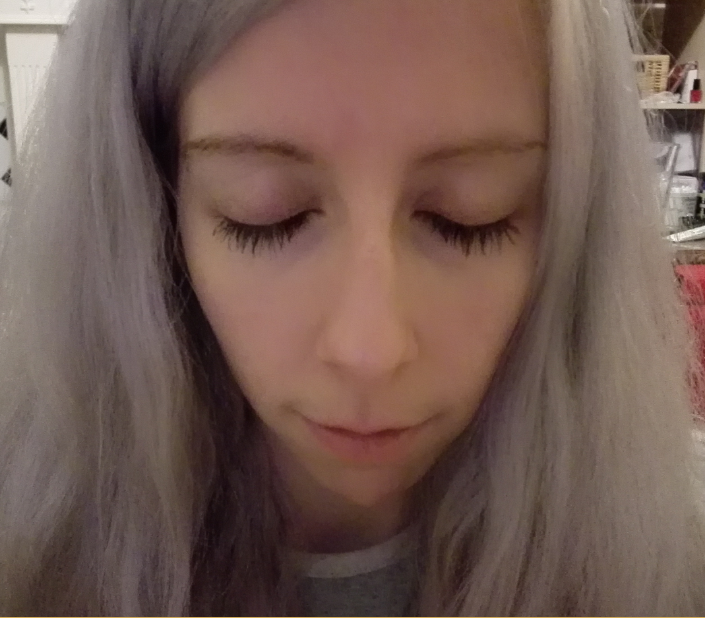 [hair] Dry Shampoo is a Lie! About ten years ago, I was walking down the road with my mum and sister, when we came across two people struggling with their shopping. I went over and offered to help. They invited us in for tea. Their names were Ann and Julian, and I hope they’re still alive and well and cosy somewhere in the world. When I was training as a teacher, I was grateful to Ann on a near-daily basis for her advice so many years ago, as dry shampoo kept me able to go into school and hold my head high. I love dry shampoo, it’s the absolute best thing for sprucing up your hair on days when you didn’t have time to shower – it makes sure (as long as you don’t run out) that you can look and smell fresh and clean every day; it’s like deodorant, but for hair. Around that same time, I discovered that dry shampoo was really taking off around the haircare set. Now everyone seems to use it for everything. Hair limp? Dry shampoo it. Lacking volume? Dry shampoo. Need a ‘fro for a stage show? Backcomb with dry shampoo. Hair roots on a photoshoot? 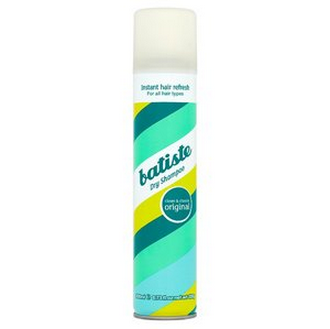 Dry shampoo. It’s everywhere, doing everything that gel, spray and mousse have done in the past when there were fads for those. Yep, I said it. Dry shampoo is great, but it’s become a hair fad. In fact, because dry shampoo is a spray-on powder, that absorbs grease, it actually makes your hair MORE DIRTY. Have you ever mixed flour and olive oil? You get a sticky mess that takes far more time to wash off a spoon or out of a mixing bowl than if you tried to get rid of either of the two individual components. Dry shampoo is your flour, hair grease is your olive oil. On top of that, the grease is now unable to do its job at all, it can’t get to the ends to coat them, and so it can’t protect the hair shaft because it’s been absorbed by the powder, so your hair is more vulnerable and you’re more prone to split ends. When you dry shampoo, you’re not even protecting your hair from washing, because you have to actually wash it more to get the hair to be clean. Test what I’m saying: Spray a coloured dry shampoo on your hair (brown shows this best) and see how many wet shampoos it takes to get the water to run clear. 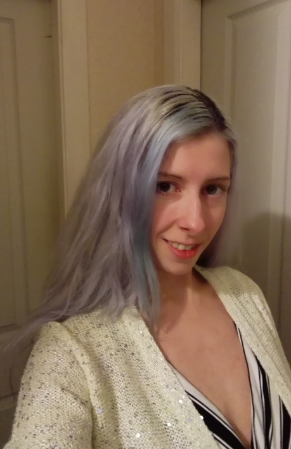 When I had brown hair, every time I used the brown dry shampoo, it took at least two shampoos to get my hair clean, otherwise it was left dull and greasy after every hair wash, which of course would prompt a lot of people to use more dry shampoo. Add to that an avoidance of sulphate shampoos (another fad) and it could take up to three washes to get rid of a day’s worth of dry shampoo (see my article on sulphates to find out why). So, instead of saving your hair, you’re putting it under more stress, because it takes more harsh cleaning agents to get the hair clean in the places you’ve used dry shampoo – and those cleaning agents will obviously affect your lengths and ends when it’s being lathered and rinsed out, and dry shampoo is predominantly used on the roots, where the grease is. This will also make your hair more vulnerable and more prone to split ends. It’s a great invention, and I am so glad it exists, but like chocolate, cake and alcohol, dry shampoo is not as healthy for you as some people believe, and should be used in moderation. Take care, and go easy on the dry shampoo!